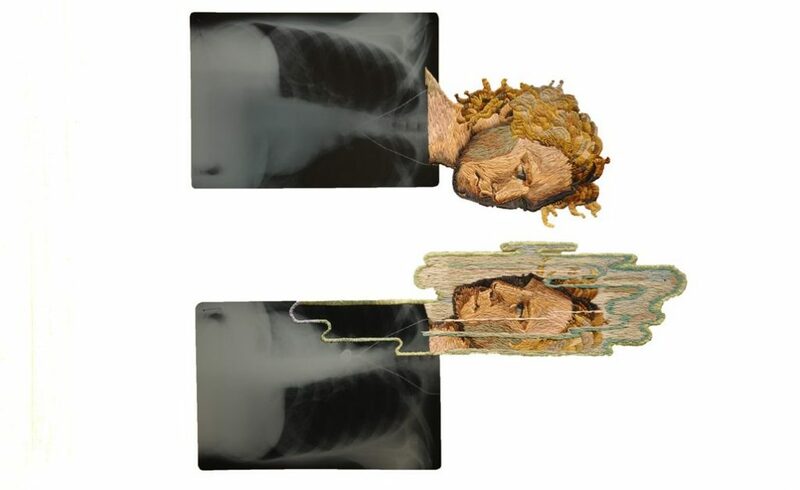 Using embroidery on top of a medical x-ray sheet, Matthew Cox creates contrasting pieces of work that combines the dull with the unexpected. Based in Philadelphia, Matthew embraces various mediums of media for his work. The piece ‘Narcissus’ is a depiction of the hunter Narcissus from Greek mythology who falls in love with his own reflection in the water and comes to a tragic end. Working from her studio in Cape Town, Danielle’s embroidery is recognisable by the bright colours of thick cotton threads illustrating flora, fauna, portraits, animals and even pop culture. 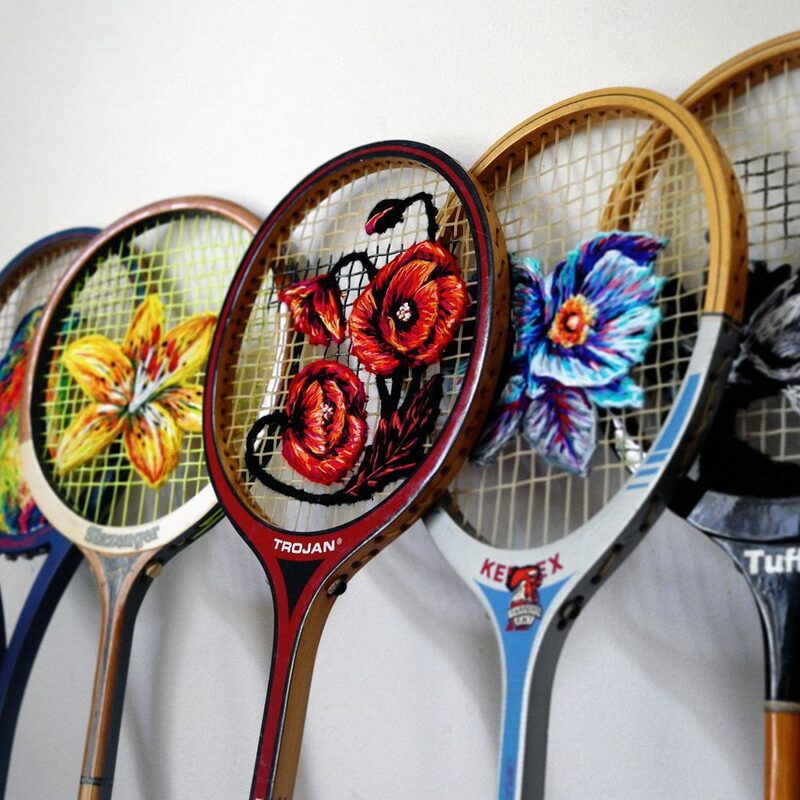 Her most iconic works are vintage rackets with embroidery incorporated into the strings creating detailed and unique pieces of art. Danielle’s work reflect her fresh take on embroidery coming from her deep interest in visual art, music and South African street culture. A freelance embroidery designer, Ellie Mac has a wide array of portfolio ranging from fashion design to large scale art pieces. However, the most satisfying are her videos of the production process of her patches. 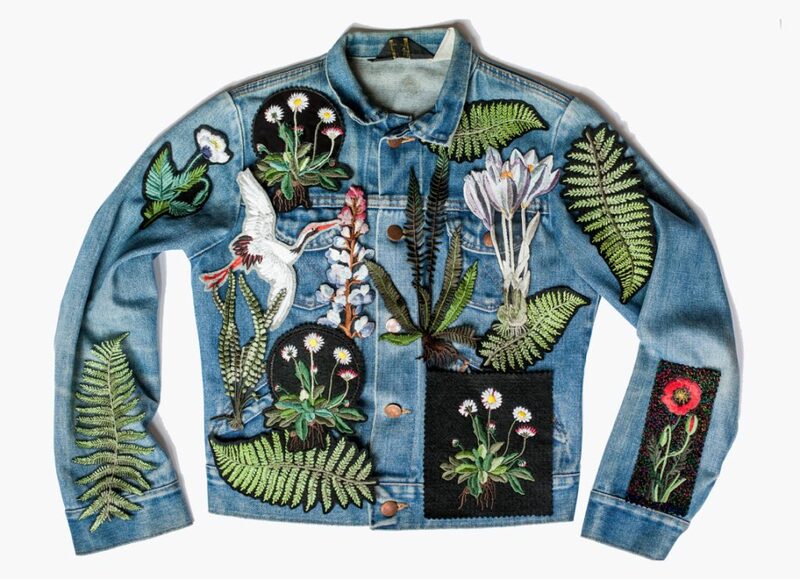 In her Brighton studio, the Irish machine churns out beautifully sewn patches that are artistic yet decorative and can easily turn any garment into a work of art. Debbie Smyth’s work often challenges your perception of the art work and space you stand in. Using thread and nails, her work illustrates various scenes in unique scales. 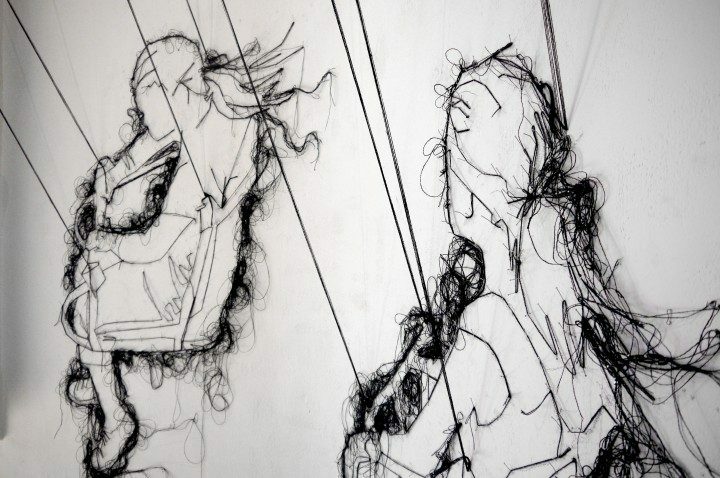 From afar it may seem like a simple line drawing but up close there are meters of strings connecting to form an image that is also a three dimensional sculpture. It may look like an underwater surface or even a futuristic landscape. Based in Poland, Justyna’s work tells stories with colours and lines. Justyna’s ability to use different mediums allow her three dimensional embroideries to be always evolving. 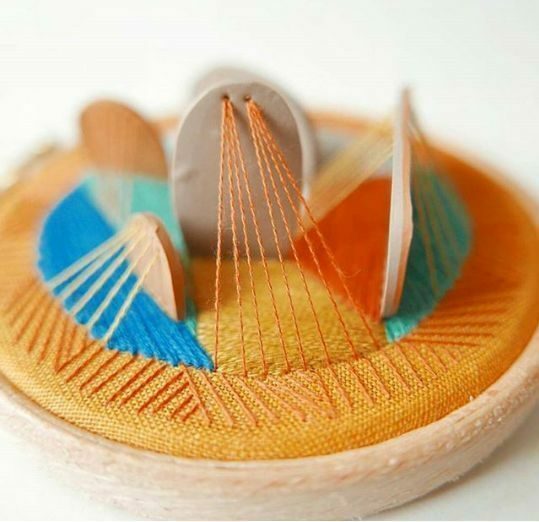 She uses polymer clay to create unique shapes which are incorporated into embroidery to create depth, dimension and texture to her works of art.